In the last four decades of the Georgian era, 131 women in England and Wales went to the gallows. What were their crimes? And why, unlike most convicted felons, were they not reprieved? 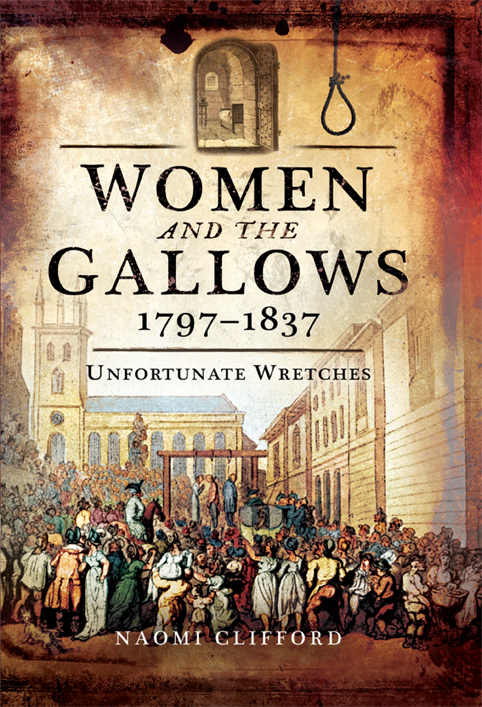 ‘Unfortunate Wretches’ brings new insights into their lives and the events that led to their deaths, and includes chapters on baby murders among domestic servants, counterfeiting, husband poisoning, as well as the infamous Eliza Fenning case. Plus, for the first time, all the stories of the women have been compiled in a unique directory. …The story of how [Eliza Fenning,] this “respectable young woman, convicted on circumstantial evidence” – including some fanciful chemistry – fell prey to prejudice and misogyny is exemplary of Naomi Clifford’s plain yet affecting style and preoccupations in this sober and sensible book aimed at a general readership. Clifford sees larger contexts too, linking the death of Fenning , “an impudent servant who could read the writing on a packet of poison,” to estabishment nerves about Radical reform, Corn Law rioting and the growing confidence of a newly coherent working class. Eliza’s tale alone tells us why this book might be necessary. 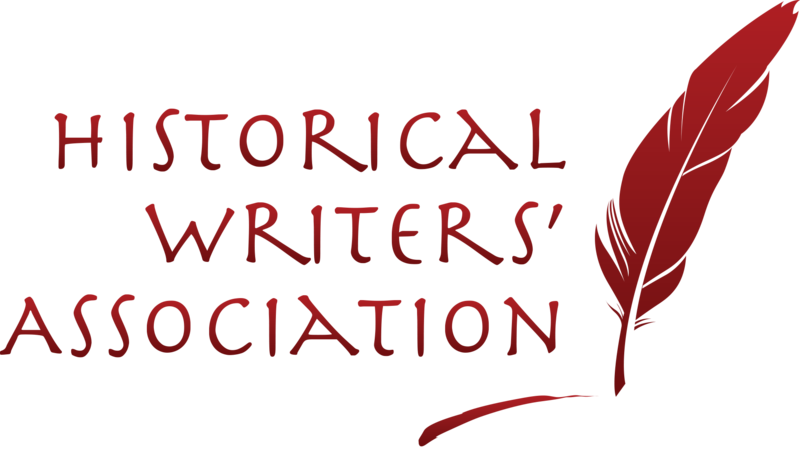 It is never too late feelingly to recount the injustices of the past. The stories are told responsibly – they are sometimes difficult to read, and must have been difficult to write, but Clifford neither downplays not luridly exaggerates inevitable, physical detail. She is sympathetic, eschewing the soapbox; anger is evidence only in an occasional sardonic aside. Under headings of types of crime – the “petty treason” of harming the head of your household, say, or the pitiful cases of infant murder – the book explains in general terms, and through local case studies, the major female capital punishments of the period and the debates that surrounded them. 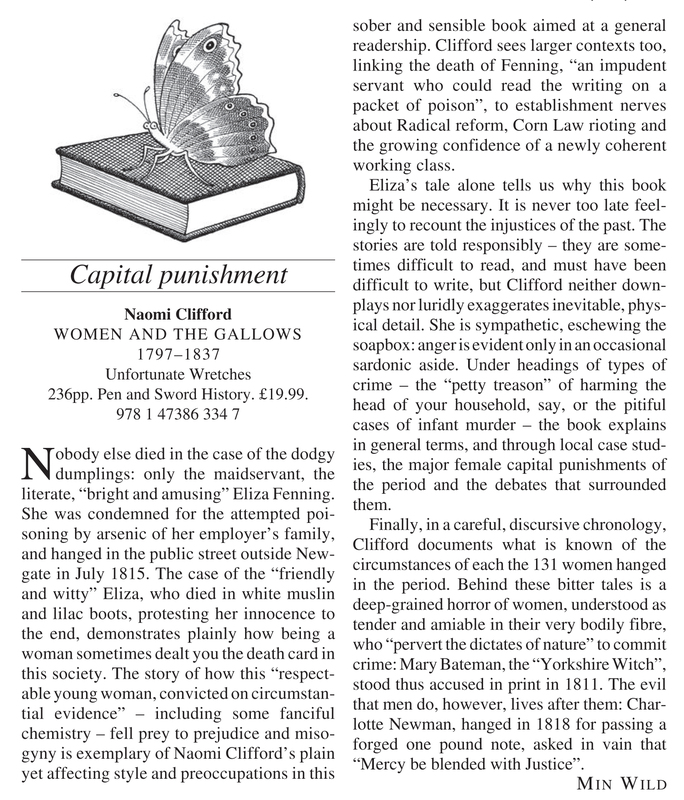 Gripping and readable account of early 19th-century crime and punishment…. It is a horrifying, illuminating and compelling account that grabs the attention from the first page Jane Austen’s Regency World I read it in a single sitting and shines a welcome light into a dark era of British legal history. —Joceline Bury in Jane Austen’s Regency World. This is a highly readable look at some women, some crimes, and, more particularly, at the mores of the last decades of the Georgian era. It’s well written and well researched. Ripperologist, No 160. Overall, the stories of these women tell us much about the world in which they lived. Most of them were poor and desperate, some were probably insane, and others such as Mary Bateman, the so-called “Yorkshire Witch”, died because in the dawning scientific age they managed to tap into a deeply rooted belief in sorcery and witchcraft.